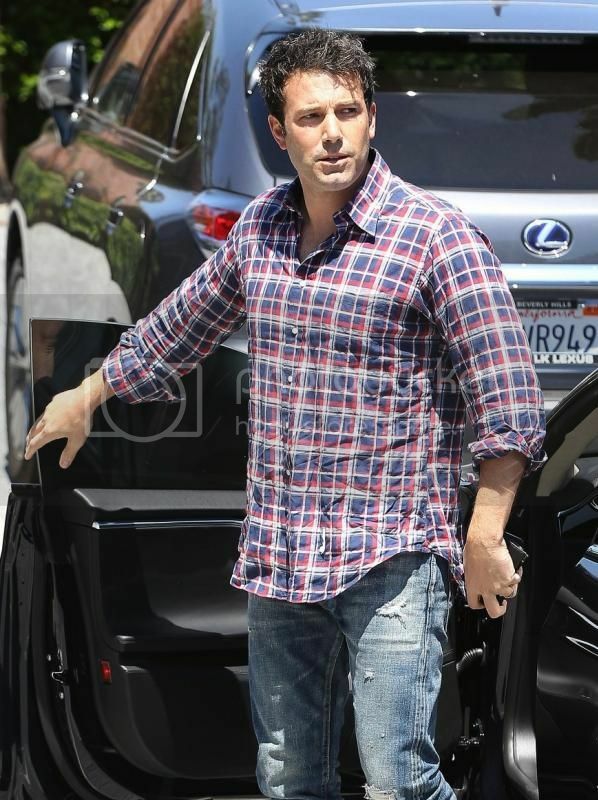 To celebrate the amazing news that hottie Ben Affleck is the new Batman I decided to feature one of his casual outfits for all my male readers. 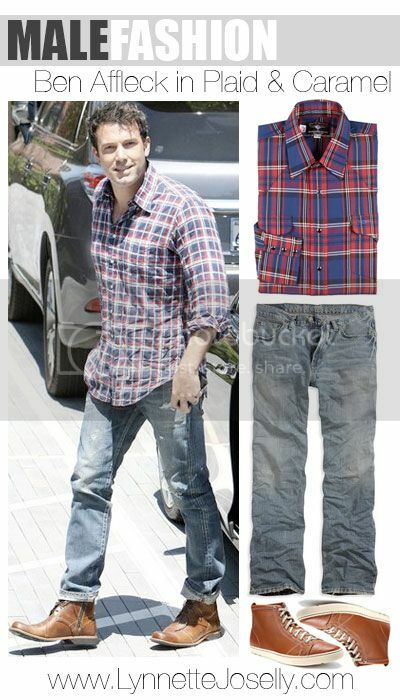 Plaid and flannel shirts look best with a rugged look. They can also be dressed up, but since its still warm outside lets keep it simple. 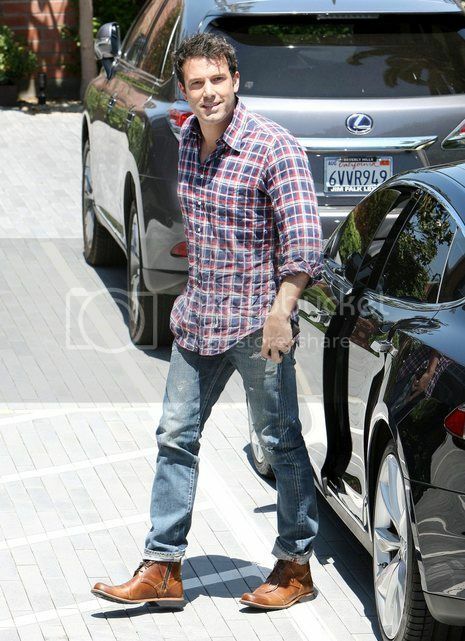 Ben paired his shirt with light wash denim pants with a distressed look and a pair of caramel oxfords. As you can see it is a simple outfit that consists of basic closet essentials. 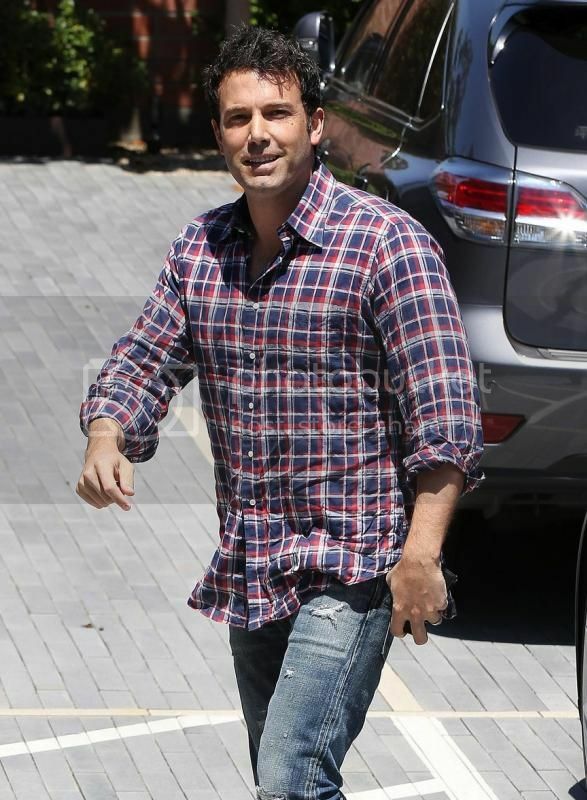 Hope you all enjoyed this look and be on the look out for Dark Knight with Mr. Ben Affleck!